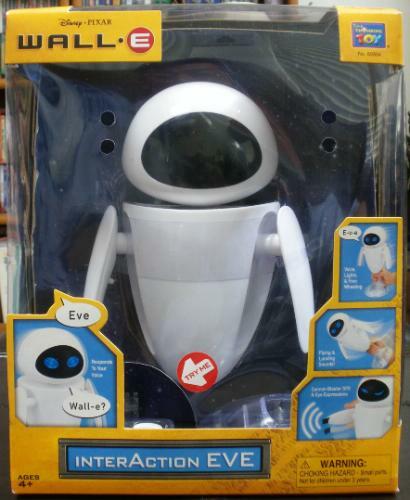 Here we have the 2008 Wall-E InterAction Eve from Thinkway Toys! I have to say, between this and the InterAction Wall-E that I got for Christmas, they have to be the coolest duo of all my Pixar toys and collectibles. I really didn't think I would be able to get this anytime soon, since this Eve sells for well over $300 on eBay (in package). Thankfully, an auction for her loose and in perfect, "like new" condition came up and my mom was able to grab it for me as a surprise for an extremely decent price. 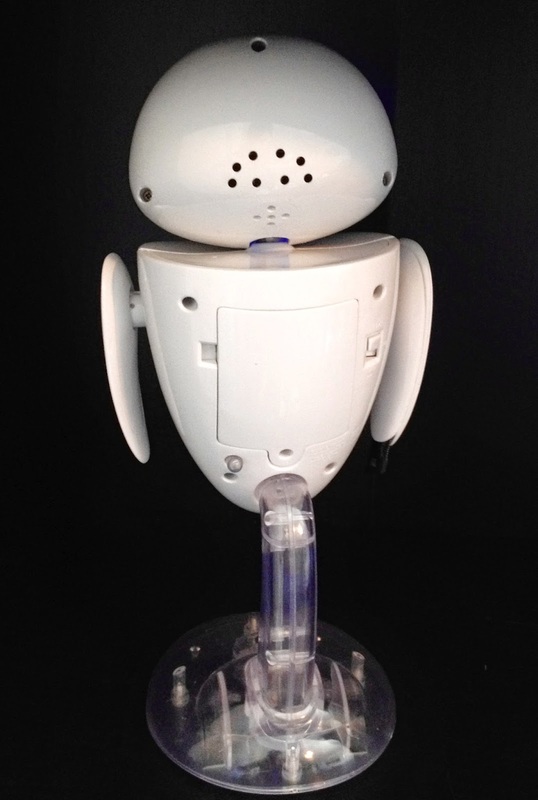 To see what Eve looked like in the package, you can view this image HERE. 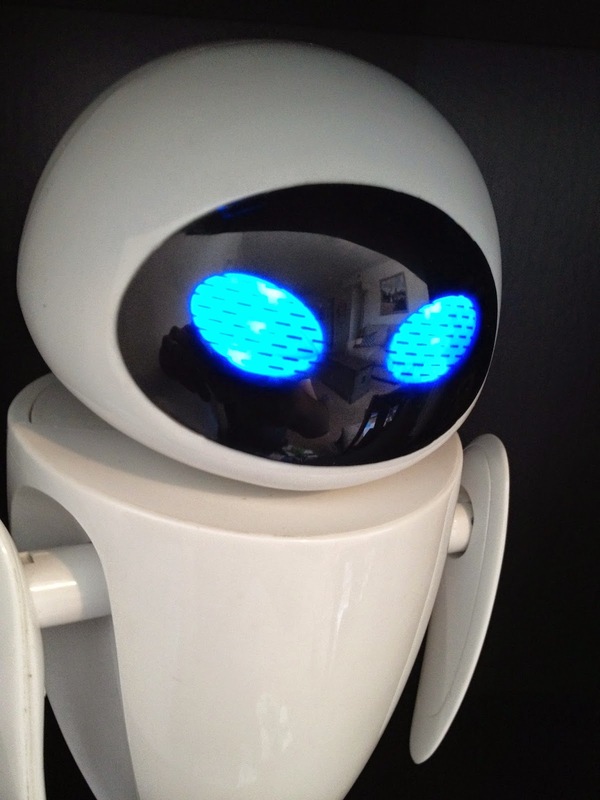 I'm still really surprised at myself for not being interested in this Eve or the Wall-E when they came out six years ago...but hey, I'm just happy I have them now after quite the process of trying to track them down. Once they're together, they will "interact" with each other, talking back and forth with phrases that somewhat match up. 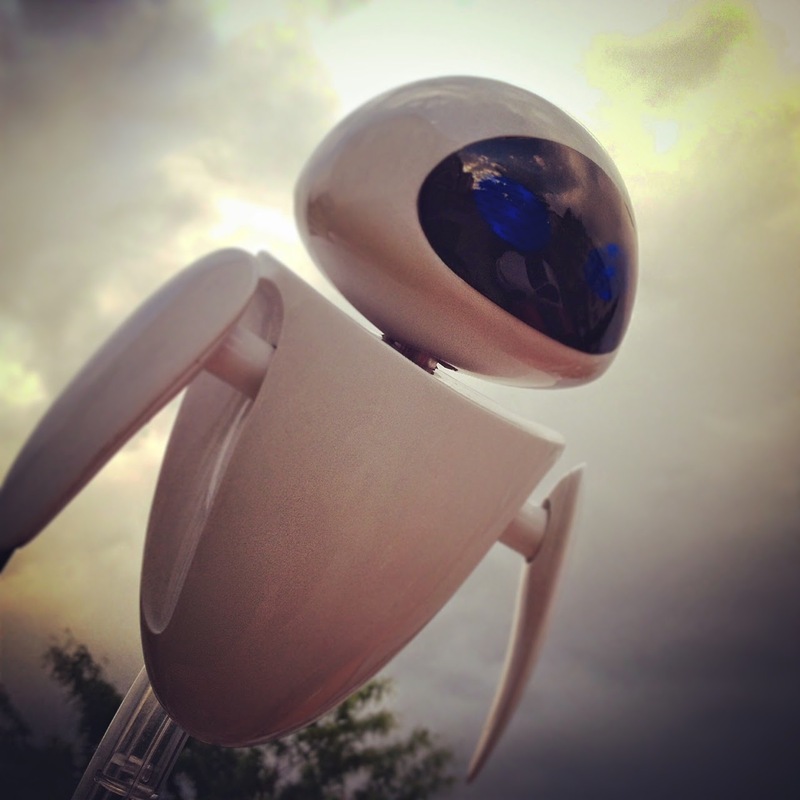 For example when Wall-E says "Eve", Eve will respond by saying "Wall-E" with a little giggle-or something to that extent. It varies each time. 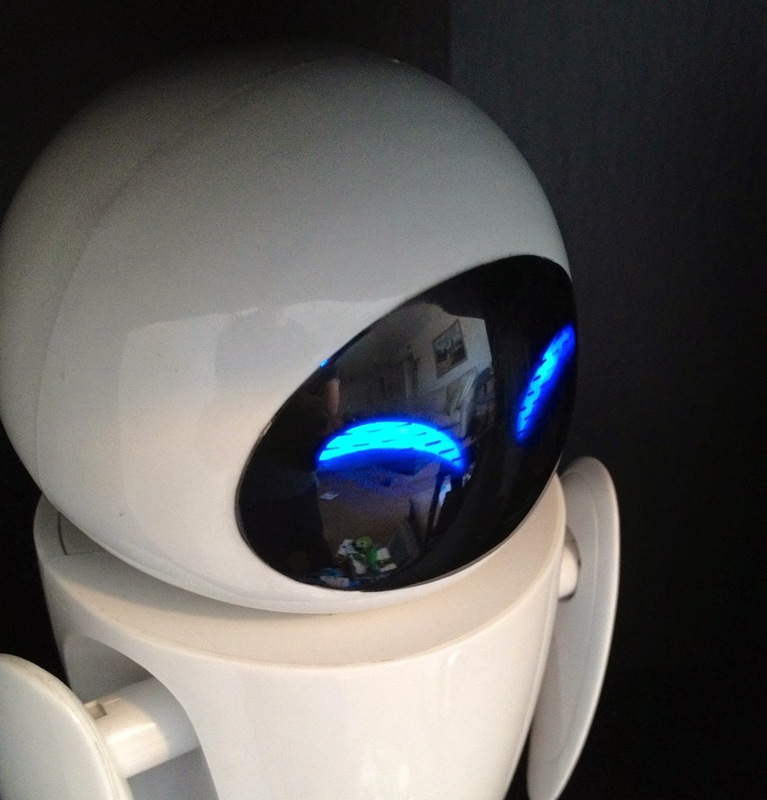 Even without Wall-E to interact with Eve, you can interact with her by just using your own voice. I've done it a few times and have gotten different responses, but it's usually pretty consistent. One of my favorite things she does is laugh when she detects me laughing. It's pretty amazing! I love the way her eyes squint as she laughs, just like in the film. When watching Wall-E, It's always amazing to me how the creative team at Pixar was able able to capture so many expressions and emotions, just from Eve's eyes. You really can really tell when she is happy, sad, aggressive, in love, scared or concerned. That's the genius of Pixar! On the back, there is an "on/off" switch. Flip that up to "play mode" and she will start by laughing. From there, you can talk to her and see how she responds. There are a couple of other features as well. If you lift up her right arm, her facial expression will change, she will fire her "weapons" (sound only, no real projectiles) and go briefly into "attack mode." Also, if you pick her up, tilt her sideways and move her around, that will trigger "flying" sound effects. Eve also, of course, comes with a clear stand to give her a hovering effect. This stand has wheels on the bottom and can be removed. Eve is about 7 inches tall without the stand and about 11 inches tall with the stand. Again, I really wish I had Wall-E with me right now to show you how they interact. As soon as I'm able to get them together, I will update this post with an additional video. In the mean time, there are plenty of other YouTube videos that show them interacting together. 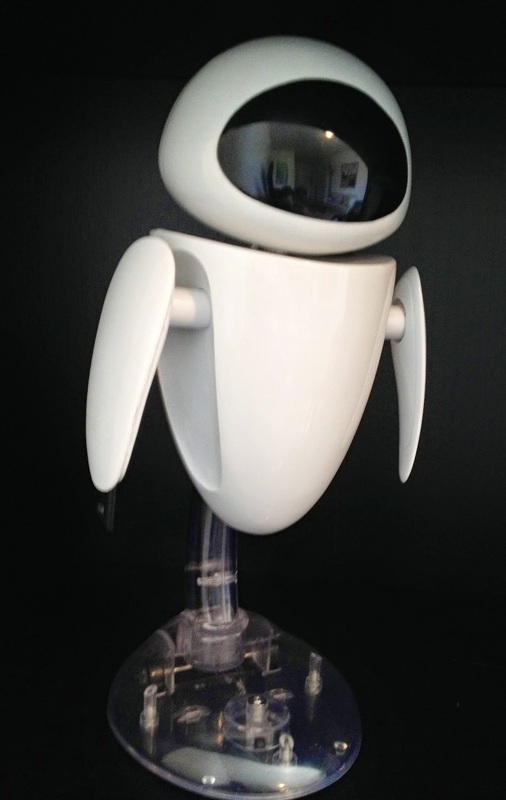 Like I've said, these Wall-E and Eve interactive toys are extremely cool and some of my top items in my collection. They're well made, work well, are fun and look really awesome on display. 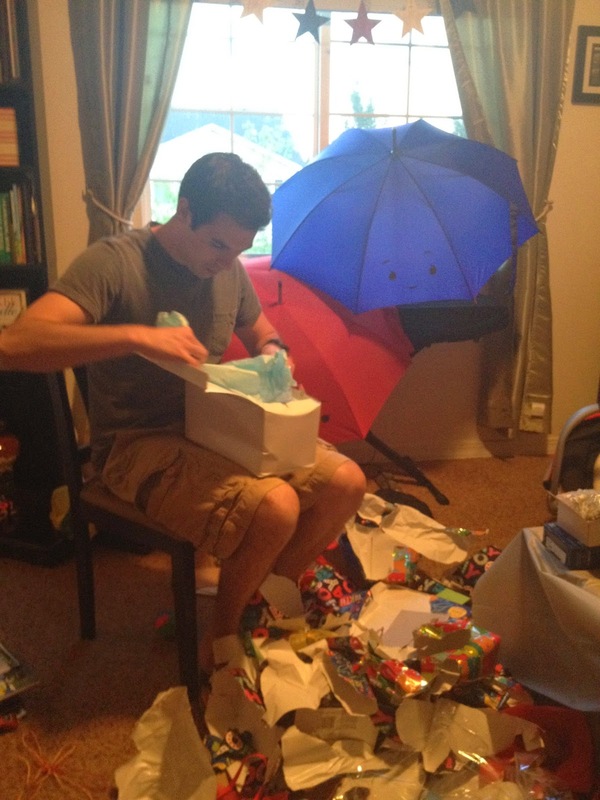 I'm just so thrilled to have them! If you have a chance to get them, I would absolutely go for it. You won't be disappointed! 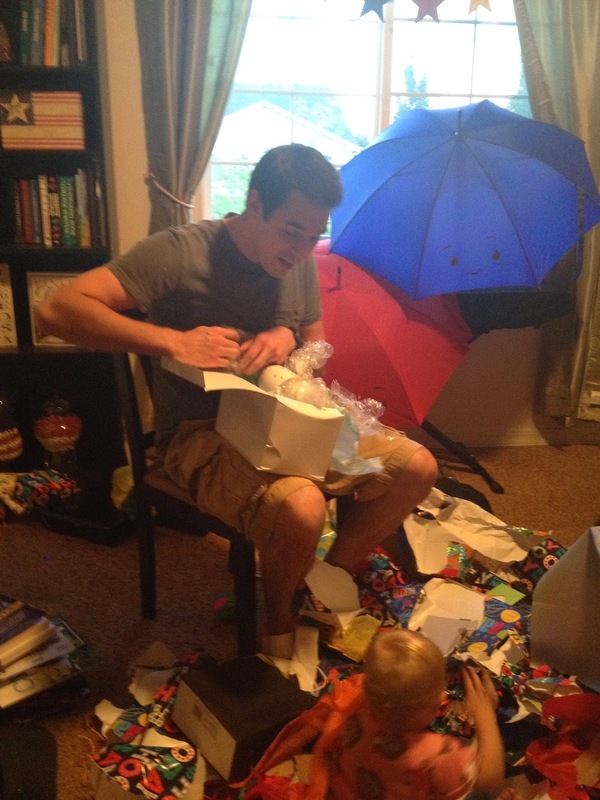 Also, like usual, I have to give a big thanks and shout out to my parents who read my blog often, this was an amazing birthday surprise! 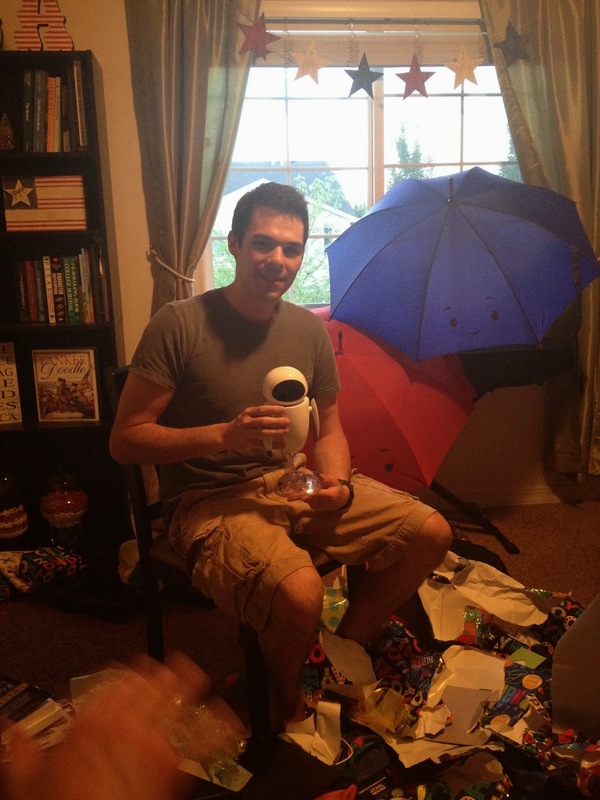 Thanks so much for dropping by and be sure to check back daily for more items from my Pixar collection! 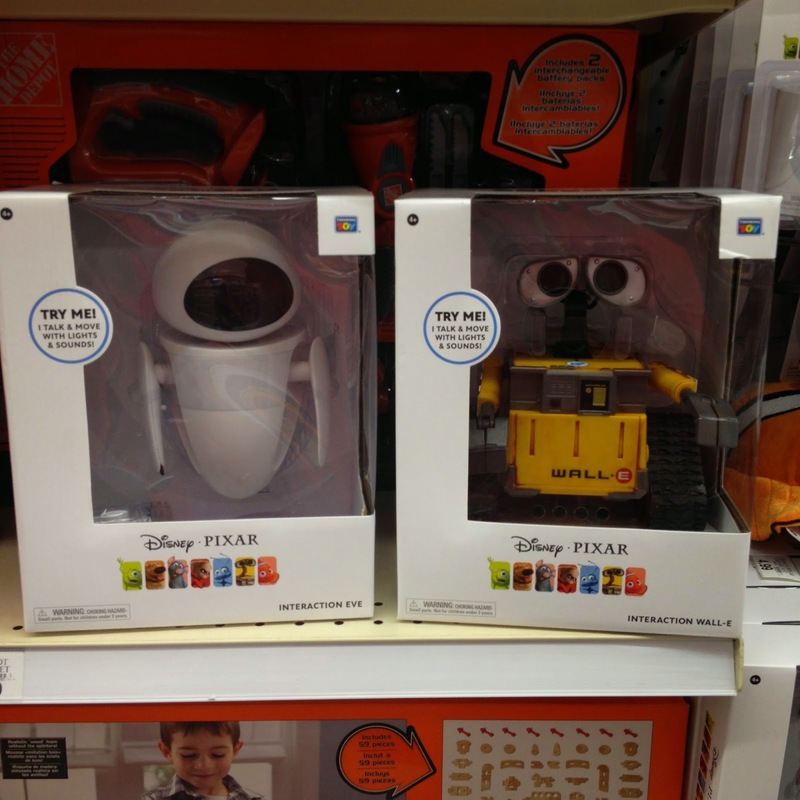 UPDATE: The Interaction Wall-E and Eve have now been officially re-released as Toy R Us exclusives! Get them while you can, this is a great opportunity.